Alzheimer’s disease (AD) is a neurodegenerative disease which is characterized by progressive memory loss, the accumulation of β-amyloid peptide (Aβ) (mainly Aβ1-42), and more recently, by neuroinflammation, which has been highlighted as playing a central role in the development and progress of AD. This study utilized 100-day-old Balb/c mice for the induction of an AD-like dementia model. The animals were administered with Aβ1-42 oligomers (400 pmol/site) or artificial cerebrospinal fluid (ACSF) into the left cerebral ventricle. Twenty-four hours after intracerebroventricular administration, the animals were treated with minocycline (50 mg/kg, via oral gavage) for 17 days. The animals’ locomotion was evaluated using the open-field test. The spatial memory was tested using the Y-maze, and the aversive memory was evaluated using the inhibitory avoidance task. Treatment with minocycline was shown to improve both spatial and aversive memories in mice that were submitted to the dementia model. In addition, minocycline reduced the levels of Aβ and microglial activation in the animals that received the administration of Aβ1-42 oligomers. Moreover, the results suggest that the decrease in microglial activation occurred because of a reduction in the levels of toll-like receptors 2 (TLR2) content, and its adapter protein MyD88, as well as a reduction in the levels of the protein NLRP3, which is indispensable in the assembly of inflammasome. These observations were evaluated via immunohistochemistry and confirmed using the Western blot analysis. Treatment with minocycline had no effect in preventing apoptotic morphologic alterations of the neurons. 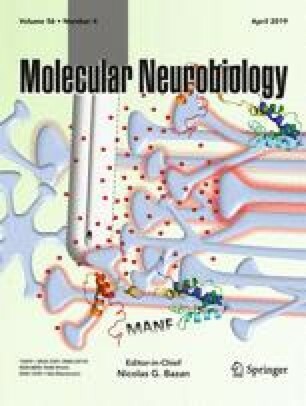 Thus, the anti-inflammatory effect of minocycline involves TLR2 receptors and NLRP3, besides being beneficial by ameliorating memory impairments. This study was supported by UNESC, CAPES, and CNPq (Universal/409859/2016-8- Brazil). JB is a 2 CNPq Research Fellow.